Contact your local Eyelid Clinic for more information or to book a no-obligation consultation. Parking at Bedford Place is two streets away from the Optimax Southampton Clinic. Charlottes Place roundabout has parking in the centre and is a couple of minutes walk away. 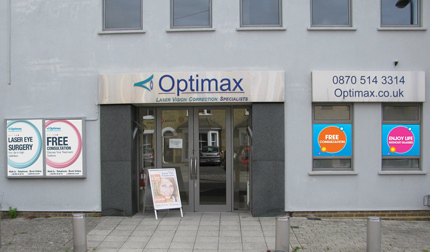 Southampton Central is a five minute taxi ride or a 10 minute walk to the Optimax Southampton Clinic.